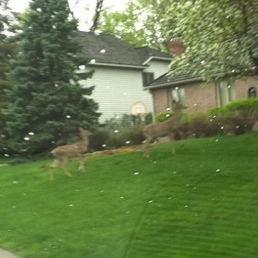 I saw a couple of deer running through our neighborhood while I was driving! They are so beautiful up close. Well, it wasn’t really that much of a funday. My mom and I pretty much spent most of the day relaxing. We had every intention of going out on a walk….but I wasn’t feeling too well. I had her wheelchair out and ready, clothes picked out and everything! Don’t worry, I am not full-blown sick. Was just feeling dizzy-ish with stomach ache for some reason. I feel much better now. It is so nice to see the sun out…and that we have some beautiful days in the EP coming up. We look forward to enjoying them! 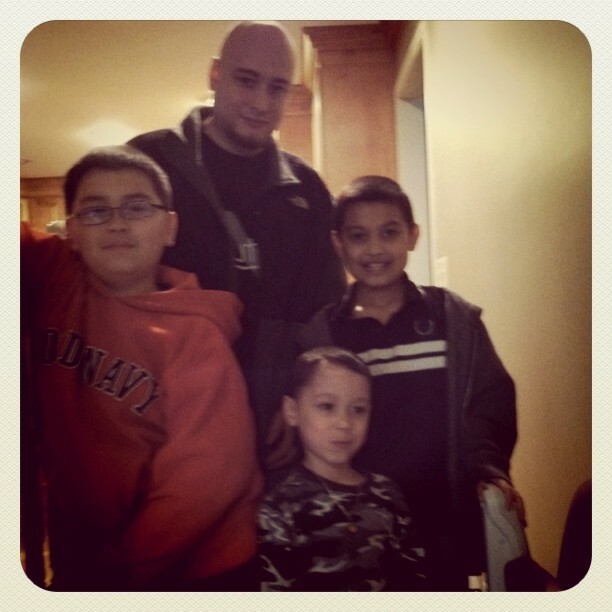 Yesterday my brother stopped over again with his boys. This time he had his oldest boy Joshua & we hardly ever get to see him. He is in fifth grade and lives with his mom. 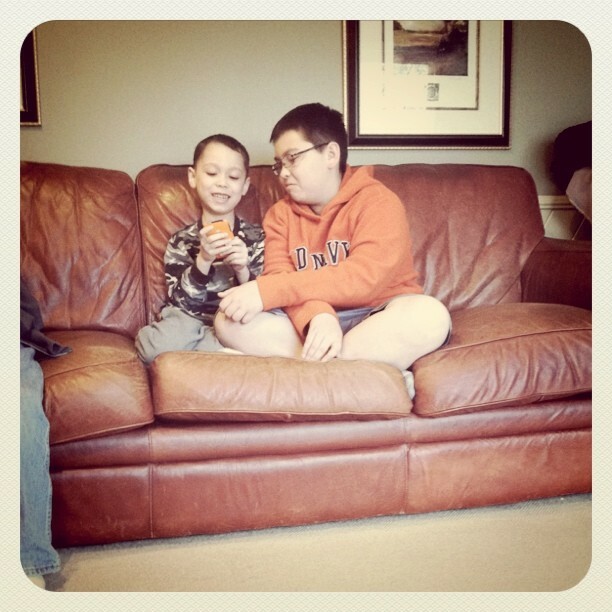 He loves hanging out with his half-brother & step brother, and the boys enjoy having sleep overs together. I love that they are such good friends. So, after another crazy fun-filled visit from the boys, we cleaned the house back up & dad gave me my much-needed night off. Thanks dad! Nate & his boys. (from left: Joshua, Julian & Jordan). It is impossible to get them all to stand still and smile nicely for a pic...but this was pretty good! Panic attacks have been going pretty well lately. We haven’t changed my mom’s medications long enough to know for sure. My mom’s feelings can change on a dime. We have had brief periods of anxiety…but they have not lasted very long & I have been able to distract her from it. Distracting her usually involves showing her pictures on Facebook. haha. She just loves seeing what everybody is up to. That is about it for today. We are heading to the movies tomorrow with our friend Amy to see Bridesmaids. 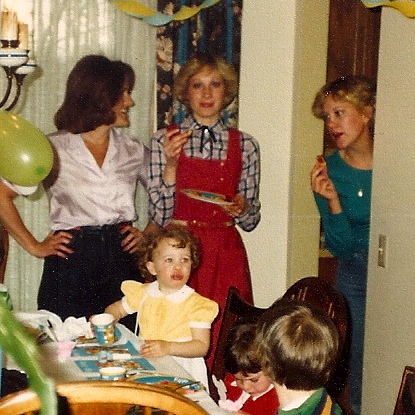 I heard it is over the top funny….so I look forward to seeing my mom laugh away! I will let you know!